I’ve always rooted for the underdog—the tortoise instead of the hare, the second-seat swimmer, the under-privileged kid, the young “inexperienced” idealistic presidential candidate, and now, my disabled son whose intractable epilepsy—and equally so, its drug treatments—exacerbates his condition. In the summers of my high school and college years I coached a couple of swim teams in Washington and Oregon. My favorite was a golf and country club team that had a history of hanging out comfortably at the bottom of the twenty-team league. 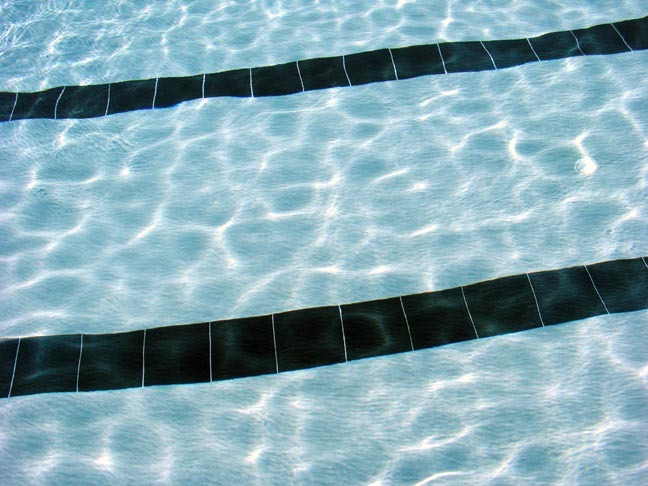 On the first day of workouts, at the modest outdoor pool with its mini snack bar, about thirty kids showed up, most of them straggling onto the deck late, towels casually hung around their necks. That day we had fun playing pool games like sharks and minnows. I encouraged them to invite their friends to join, whether they had swum on a team or not, and posted flyers enticing young would-be athletes. Within a couple of weeks 140 kids between the ages of four and eighteen, some barely younger than I, were swimming laps in the wavy lanes each morning. I demanded a lot from my swimmers, and in return I worked hard for them, staying up until the wee hours of the morning strategizing unbeatable lineups for meets. The kids put in their best effort, were devoted and punctual because they knew I expected nothing less, and they delivered. One rule I had for each swimmer was to compete in every single event offered in his or her age group. At the last home meet of my first season, I was sitting on the hot deck by the side of the pool, surrounded by little kids, my clipboard in hand. One of my ten-and-under girls shyly approached me. She said, “coach, Jenny doesn’t want to swim the 100 I.M. She says she can’t do it.” I told the girl that I had complete confidence in Jenny and I wouldn’t scratch her from the event. If Jenny chose not to swim, I said, then it would have to be her decision. The girl disappointedly sulked away. A few minutes later I watched little Jenny hesitantly step up onto the slanted block, her big suit sagging off of her skinny frame. Flanking her were just two other girls, the outside lanes empty. 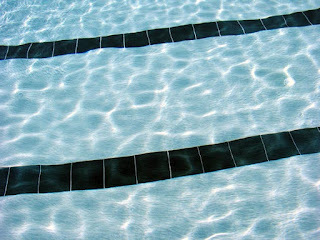 The starter fired his gun and the swimmers flopped into the cool blue water. Butterfly. Backstroke. Breastroke. Freestyle. The three flailing contenders kept edging each other out during the suspenseful race. In the last few yards Jenny, neck and neck with the others, poured it on like I had taught her to do, and nailed the finish hard touching out the other girls. The image of her gasping for air with sheer surprise and glee on her face brings me to tears as I write these words. She was so proud of herself. She was the underdog, and not only did she do what she didn’t think she could, she had won her first blue ribbon. Our team rose up through the ranks to second place in the league that year, all of us mere underdogs. I think of that summer and of that special group of kids often, particularly when I am with Calvin, coaching him to amble upstairs, to climb onto the couch, step into the bath, pull his shirt over his head and walk where he doesn’t want to venture. I know if I expect a lot from him and encourage him to never give up that, even in the face of seizures and debilitating drugs, he'll try and deliver. And he does. My little underdog Calvin is a true winner.